Sonos headphones are coming, according to multiple reports, all of which quote an amusingly vague one from Bloomberg where 'people familiar with the situation' say that Sonos headphones are coming – and so who are we to argue? This really stems from the fact that since August, Sonos is now a publicly listed company. In a recent note to its new shareholders, Sonos noted that half our music listening occurs outside the home and added, "We plan to push our boundaries by investing resources to make the experience of Sonos outside the home a reality." Or, in other words, "We are going to launch some headphones… or maybe a battery-powered speaker, or try to get into in-car audio"
Given that Sonos can't really bring any huge innovation to the headphone market – nobody wants 'multi-room' headphones or ones that stream over Wi-Fi – the obvious choice would be to make noise-cancelling headphones to take on Bose QC35, Beats Studio 3 and Bowers & Wilkins PX. And also other headphones by brands that don't begin with the letter B. An interesting fact about the headphones market is that Bluetooth active noise-cancelling (ANC) cans actually make up the biggest share of it, by value. That's not because they sell the most; it's because they sell in solid quantities, and cost over £300 a pair. That's a price a lot of people can afford, but is nobody's idea of cheap. It's the classic, Apple-style 'affordable premium' approach, in fact. That's why it would make sense for Sonos – a maker of affordable premium home speakers – to target the active noise cancelling headphones market as its first venture into 'out of home' listening. I wouldn't underestimate the value of going after in-car audio, but Sonos can't just say, "We're going to be in a load of cars now," and have it happen overnight. It can, however, put out a load of £300 headphones. Beats by Dr Dre originally found the secret of getting a very large number of people to spend £100 to £200+ on headphones. Bose has subsequently made a fortune from more-or-less inventing, and then dominating, the over-ear, noise-cancelling headphones market. The likes of Bowers & Wilkins and Sony subsequently piled on with headphones targeted at an even more rarified, audiophile-type market – not that Bose or Beats' ANC headphones sound bad by any means, but the Sony and Bowers & Wilkins ones are a cut above in terms of sound and finish. Sonos, however, has spent the last decade completely dominating the home multi-room speaker market, and has now branched into building Amazon's Alexa AI into its speakers, with Google Assistant always 'coming soon'. People are very familiar with the Sonos brand and see it as an aspirational marque that creates well designed, good sounding products. And that's fair enough, because by and large that is precisely what they create. The Sonos One was Product of the Year at our last T3 Awards. In the home, Sonos' main competitor is Bose. These things are subjective of course, but personally I usually think Sonos' speakers sound better and look more stylish, at very similar price points. Sonos has a very good chance of taking headphone market share from Bose and the other big ANC players. The most logical and potentially profitable 'outdoor' product for Sonos to make would be a stylish, great-sounding pair of ANC headphones, with access to Alexa built in (and Google Assistant 'coming soon', of course). Its expertise in digital sound processing, plus the fact that noise-cancelling chips are widely available and cheap, mean it should be able to create a pair of ANC headphones that will get great reviews, and sell off the back of the Sonos name alone. If it instead goes 'outdoors' by making a battery-powered speaker, or making a pitch for the in-car market, that would be disappointing. Sonos' share price has actually fallen quite a bit since it went public, although that is hardly unusual for a newly-listed tech brand. 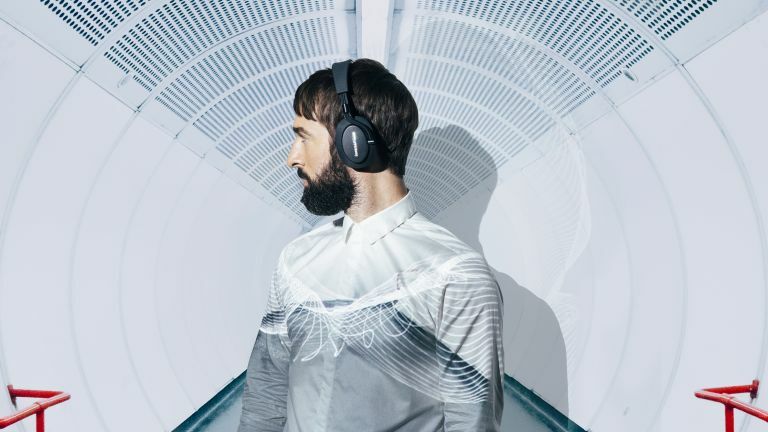 Putting out a pair of noise-cancelling headphones could go a long way towards reversing its post-launch losses and making those share holders extra cheery. Bring it on.